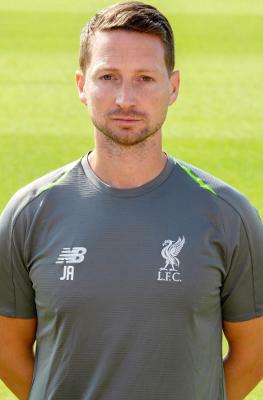 Jack was appointed Head of Elite Fitness Development and U23 Fitness Coach in January 2016 having joined Liverpool FC as the U18 Fitness Coach in December 2014. Prior to this, Jack gained experience at Newcastle United, Tottenham Hotspur, Barnet and Watford. An accredited sports scientist with the British Association of Sport and Exercise Sciences (BASES), Jack completed a BSc in Sport and Exercise Science at the University of Hull, an MSc in Sport Sciences (applied human performance) at Brunel University, and is currently undertaking a part-time PhD at Liverpool John Moores University investigating speed endurance training in elite youth soccer players. Jack completed the FA Fitness Trainers Award and is an accredited strength and conditioning coach with the United Kingdom strength and conditioning association (UKSCA) and the national strength and conditioning association (NSCA). Jack said: "My role is to manage the academy sports science department to develop the physical qualities of elite youth football players alongside the coaching programme.